- Compatible with Android phone and tablet version 2.2 and latest version. - Over 8000 supported device. 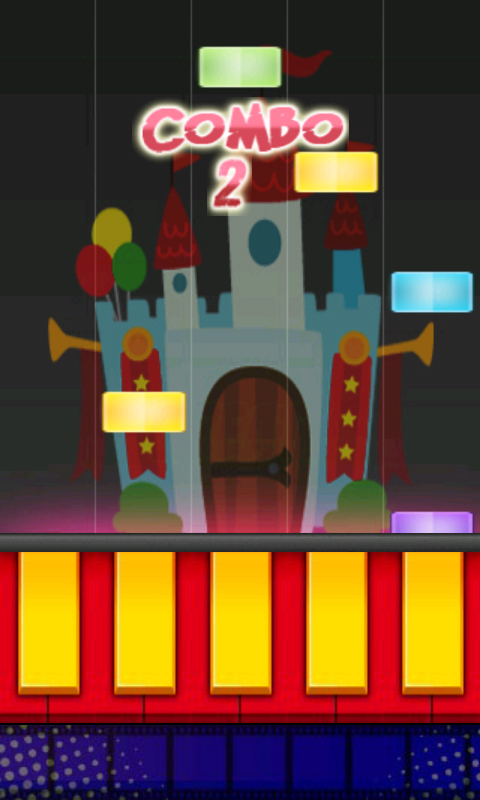 - Simple interface no fancy stuff straight to the point and easy to learn and play Kid Music Game Battle Vol 02. 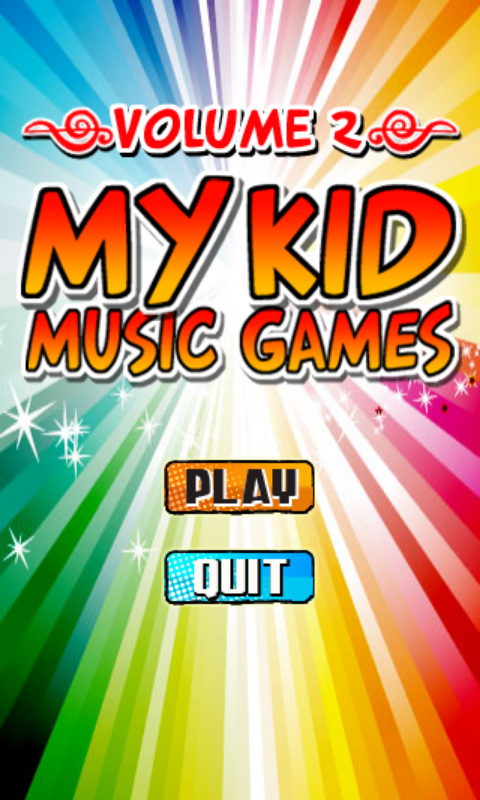 A music games for children, parent and family. 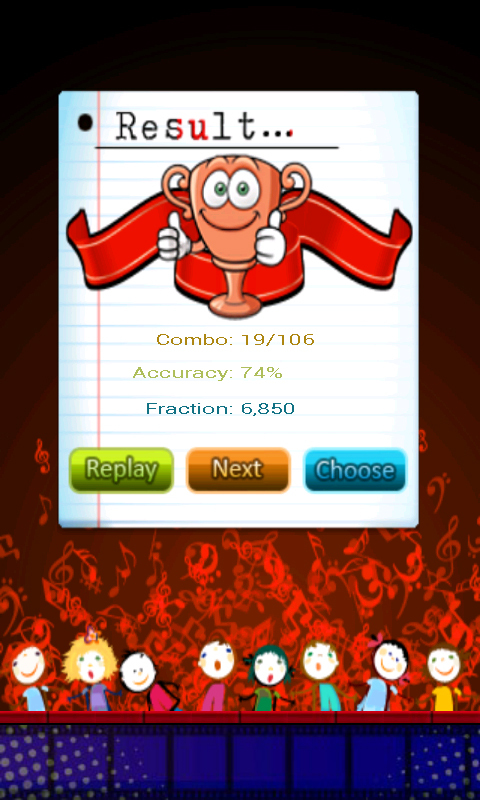 Beware... this is not an easy game to try it for the first timer but it is still fun and addicted to play if learn it smart and fast hehehe ^_^ try your best kid. How to play - Game play a bit similar to rhythm game Stepmania or Guitar Hero and many other rhythm games. Click Play to enter into music game library interface. Select one music from the list and then enter into game interface. Tap the key when passing the bar to score points for accuracy and timing.